I was dreaming of a very feminine, girly-girl look for the girls’ shared Jack and Jill style bathroom when I stumbled across these gorgeous Anthropologie Keepsake Brooch Knobs. They were perfect! But as I did the math, I just couldn’t justify spending $120 for seven pulls (including shipping and tax) in this particular room. 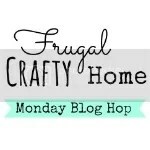 I searched high and low and found a few options for less. 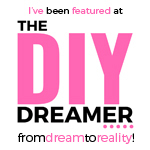 If you’re not the DIY type, these are great options for getting this glam look for less. I like these (smaller) jeweled pulls from Hobby Lobby. Pair them with their weekly 40% off coupon and the patience of a saint and you could score each of them for $4.20 each before tax. 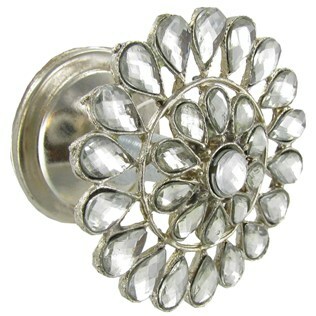 Or how about these, much more simple, rhinestone knobs? You just can’t beat that price – only $1 each! I wanted to try to replicate my inspiration knobs from Anthropologie as much as possible for quite a bit less, and came up with these. Aren’t they lovely? Here’s how I made them. 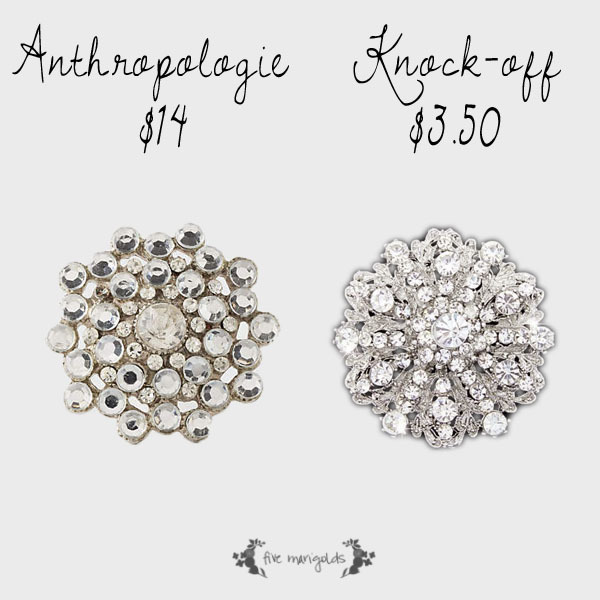 I bought these pretty rhinestone brooches – the closest match I could find to my inspiration knobs – just $2.25 each, total. I then bought these inexpensive drawer pulls for $1.28 each. 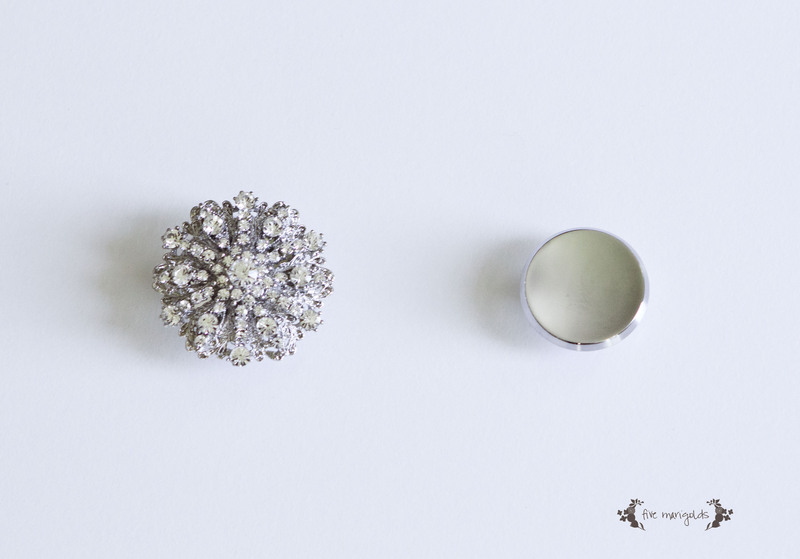 It is important that the diameter is close to the size of the brooches – not only to make it easier to affix, but for the long term durability of the knobs. I’ve seen other bloggers attempt to affix a brooch to a much smaller knob or pull, which significantly impacts long-term durability. The aim is that you will naturally pull using the knob and not the brooch. I was able to achieve that with this combination. I then used some Marine JB Weld epoxy we had on hand to attach the brooch to the knob. Since these fit so perfectly together, we just hooked the brooch pin over the knob for simplicity, and then used the epoxy. I’d originally planned to remove the pin fixtures from the brooch and then affix the epoxy around the outer diameter of the knob, but this way was far easier and worked just as well. If you’re not familiar with JB Weld epoxy, it’s a product that works as a chemical weld. It’s meant for marine purposes and is water proof. These babies are not coming apart any time soon! The grand total for this project was just shy of $25 for seven knobs – that’s just $3.50 per knob. I saved nearly $93 compared to my inspiration hardware! Here is what they look like installed. I think they add the right amount of sparkle to this shared little girl bathroom. It’s incredibly hard to get a photo because they are in the narrow Jack and Jill bathroom that gets no natural light. Pictures don’t begin to do these beautiful fixtures justice! 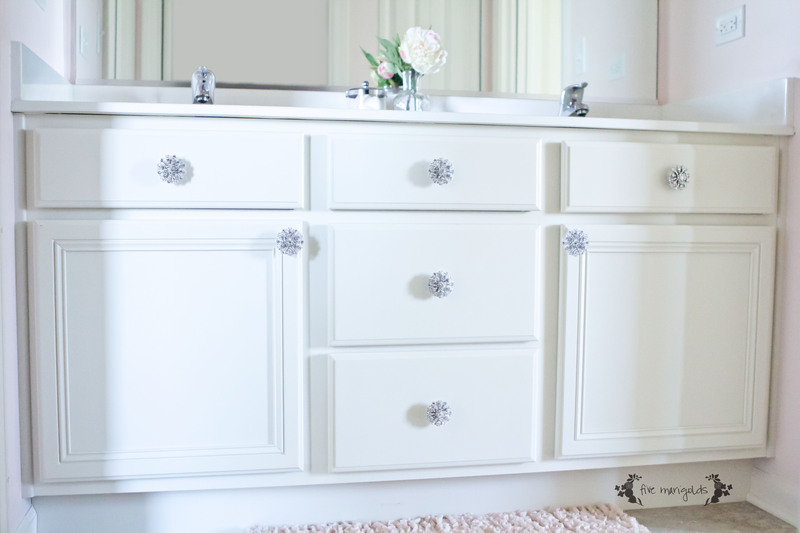 This entry was posted in Design, DIY, Home, Kids and tagged Amazon, Anthropologie, brooch, cabinet hardware, Copycat Chic, DIIY, drawer pulls, Easy, Ebay, Girl Bathroom, Hobby Lobby, inexpensive, Jack and Jill, JB Weld, Keepsake Brooch Knob, knobs, Look for Less, Rhinestone on June 27, 2015 by fivemarigolds.